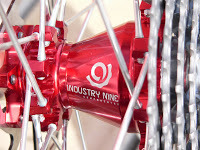 Here’s some more industry nine goodness, it sure seems that these wheels are a popular commodity these days. Well thats good i suppose….. it’s a great product and backed by outstanding design perspectives PLUS, i feel good about supporting the folks behind the company. 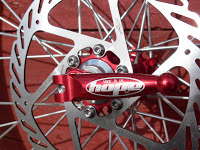 They’re a stand up bunch of guys that know their stuff, plus they’ve been in the bike industry for years. They’ve certainly taken a chunk out of my wheel building duties but it’s all good as it allows me more time to take pictures. 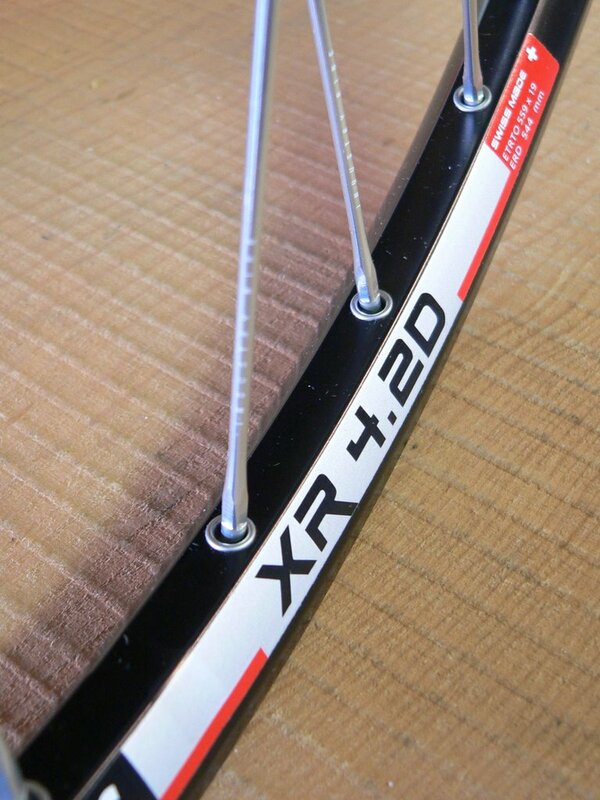 Here is a set of their All Mountain wheels, laced up to DT-Swiss 4.2d rims. Weight forthe pair: 1575g, and just wait till you see what these beauties are going on. By ChadDevall|2016-12-22T14:46:11+00:00February 22nd, 2007|Uncategorized|Comments Off on New Hoops ! so here’s what was in the box. 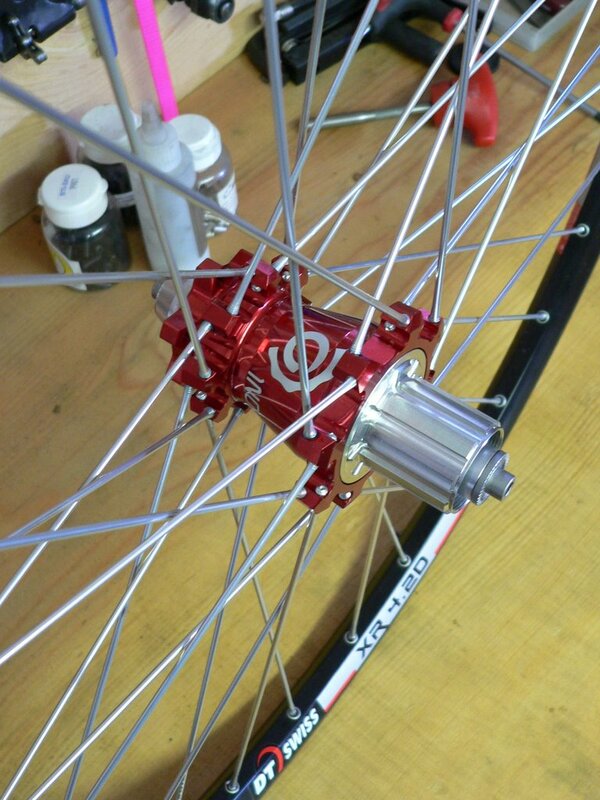 A set of Industry Nine hubs laced to DT’s new 4.2d rims , they turned out beautifully and a quick check on the Park TS-2 confirmed that the wheel builders over at I9 are precise with their wheel building, nothing that i haven’t come to expect from them. 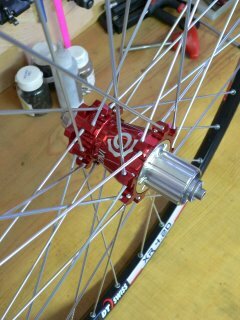 I also double checked the tensions, which aluminum spokes are approx 30% higher in tensions producing a very laterally stiff wheel. 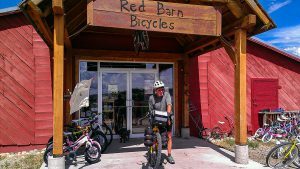 Folks concerned with how well their bikes corner or how they hold a line through a rock field will be delighted with the out come. 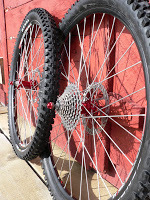 I also think the wheels would be perfectly at home on a 29″ mtb were you typically find wheels with spokes that are 25-30mm longer in length. 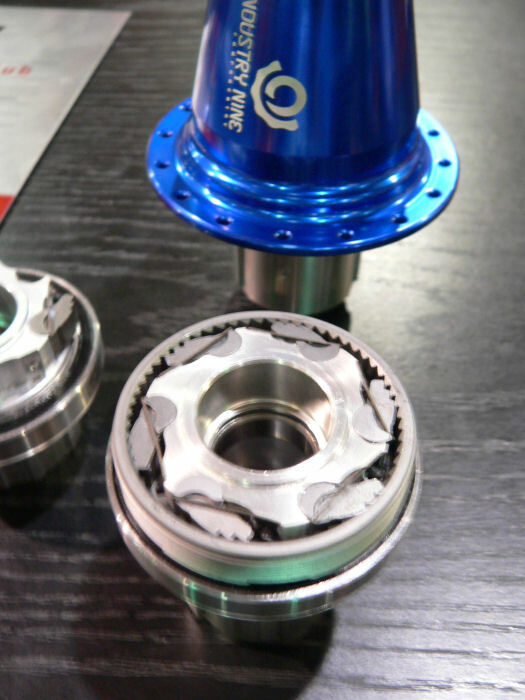 But anyway…… one of the most exciting aspects of these wheels is what is INSIDE the rear freehub. Check out the cut out of the rear hub on this picture that i took while at Interbike this past october. As you can see it’s a 6 pawl drive, but if you look very closely you’ll see that only 3 of the pawls engage at any given time, the other three are offset by 3 degrees creating almost instantaneous engagement. damn fine engineering…damn fine. 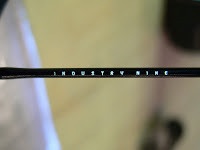 Here’s the pics.